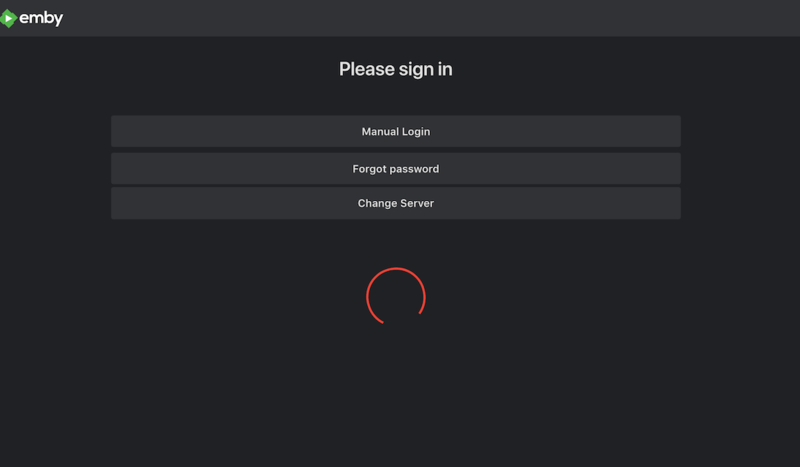 I installed Emby from the play store, logged in via the connect interface, now what? This did not setup a server. Its asking me to specify a server, but I'm trying to setup the server. It looks like what I installed from the playstore is not the server, but just a client. How do I setup the server? It's a newer development. Not quite polished yet. Once you install the server, start it on the Shield and configure it from a browser on the same network or side loaded on the Shield. http://ipaddressofshield:8096 - fill in the IP of your Shield. Thanks kanipek. The reason for my confusion is I've recently being using Plex (abondoning this due to poor handling of Album art) and expecting Emby to be similar to Plex in this regard, but apparently, this does not appear to be the case. Hi @Plastikfan, what issues are you having with album art? Hi Luke, thanks for asking. Over the years, I have painstakingly taken the time to ensure absolutely every track (all in FLAC) from every album has correct album art (with the help of Musicbrainz Picard). All my music has local embedded art and also a jpg in the same folder. This has proven successful in many contexts. I had not anticipated having any issues with Plex, but so far this has proven extremely time consuming and difficult. Really, I don't know why this shouldn't work by default. This is not helped by a confusing user interface and inadequate documentation. I'm using Plex via AndroidTV on NVidia Shield, but I just can't get my head round the Plex agents. The documentation does not clear this up for me. I have all my music on an external drive under "NVIDIA_SHEILD" folder (structured as: <CUSTOM-GENRE>/<ARTIST>/<ALBUM-NAME>). I create Music libraries as basic. Actually, I have tested with this set as seen (Personal Media Artists) and also set to Lastfm, but neither of these work. 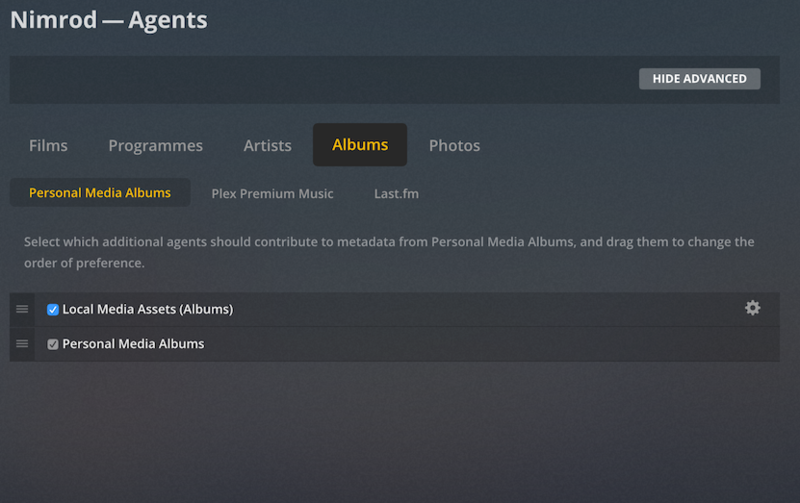 And why is there no Personal Media Albums agent in this drop down? This interface is confusing. 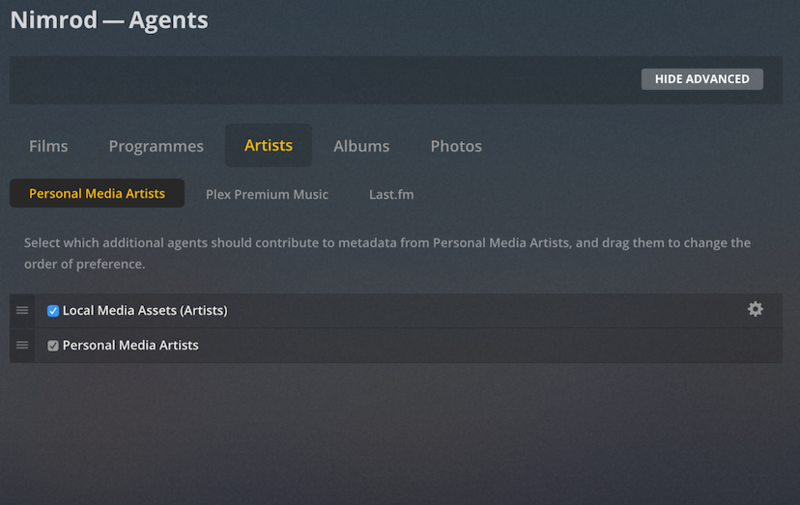 Why would I want the agent set to "Personal Media Artists" and not "Personal Media Albums"? I really don't understand what's happening here. (PS, my Music library is labelling here as Music [NO-ARTWORK], to indicate this library's artwork is not currently working). I read somewhere that changing settings does not apply immediately, they only affect music that is added subsequently, but I don't know if this also applies to when you update the metadata for the album. 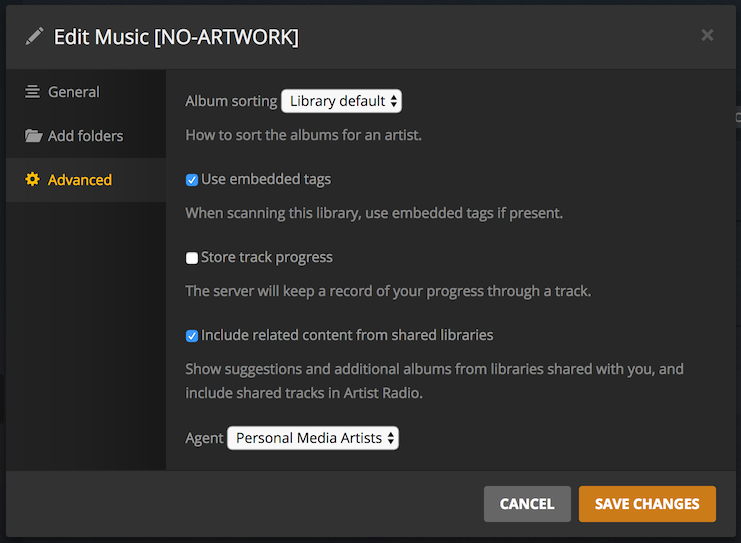 In fact, I have tried to refresh the metadata after creating the library, but this does not make any difference to artwork for the albums or artists. 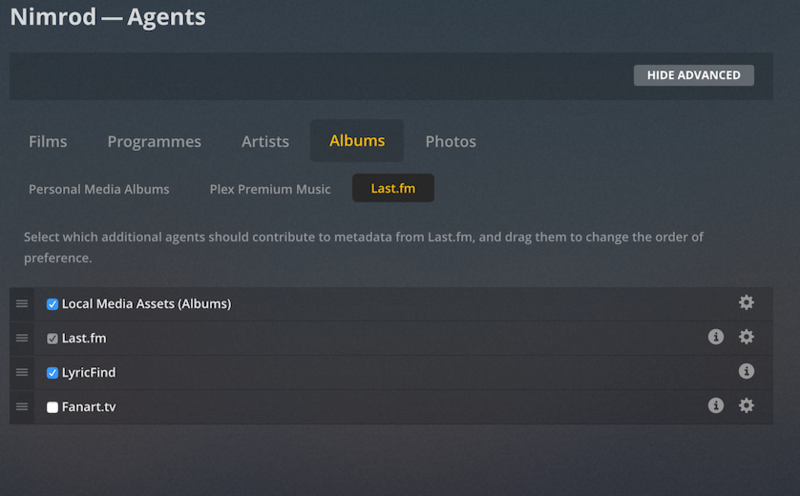 I've also wasted countless hours, changing the order of the sources for the agents, but this makes no difference. If you can spot something I've done then please let me know, thanks. @Plastikfan, the above screenshots are from some other software. This is Emby Server. Are you in the right place? I only posted that here, because you asked my about the problem I'm having with album art which was with Plex. At this point, I'm ready to find advice from any source. My original post had nothing to do with album art, apart from giving me reason to use a different streamer. Ok sorry for the confusion. If you are having issues with album art in Emby I am happy to help you resolve them. Thanks ! Ok thanks Luke. Actually, I'm having problems just logging into Emby after having installed and started the server. Just navigate to the server from the browser and nothing happens! That's strange. Can you check the browser debug console? Does it show any errors? notifications.js?v=3.6.0.77:1 [Deprecation] The Notification API may no longer be used from insecure origins. You should consider switching your application to a secure origin, such as HTTPS. See https://goo.gl/rStTGz for more details. /#!/connectlogin.html?mode=connect:1 This page includes a password or credit card input in a non-secure context. A warning has been added to the URL bar. For more information, see https://goo.gl/zmWq3m. Strange. Can you attach the emby server log as well? Thanks ! The reason I couldn't get access to the web admin page, was that I was trying to get access via :http://server-ip as advised, but this is not correct. I accidentally discovered from a windows box that the correct url is http://server-ip/web/index.html. So Luke, I've added a music library and I can see that artist and album cover art, is slowly beginning to be populated. 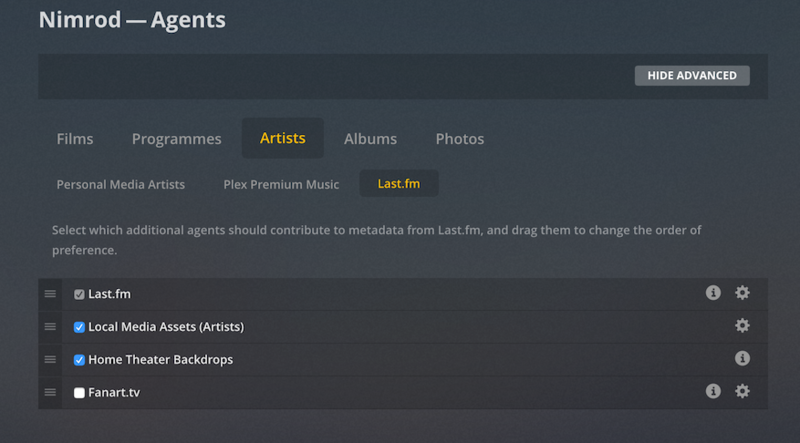 Which is a vast improvement over the mess that Plex is.However, the fact that the album cover art is only slowly being populated rather than just displaying embedded cover art or cover art available in the local directory leads me to believe that covers from the web are taking precedence (although that is purely speculation). Can you tell me what the strategy is for applying album art? eg is it 1) Embedded Art, then 2) local file (cover.jpg or front.jpg etc) 3) lookup from online source. If there is an emby article that details this, I would appreciate being able to read it (I haven't found one so far). Thanks. Another question. I also noticed a message on the server saying this is a trial version. This concerned me. Is this really the case (will it expire? ), or is this just because Emby server on Android is still in beta? I forgot to mention that I also set that port number. But in actual fact, this doesn't work upon first installation of the server. This address only works after you have setup the server via the admin interface, and you can only do this via the /web/index.html url jut after server installation. That is what I found anyway. When you go into emby client on AndroidTV (NVidia Shield), select Options->App Settings, there is a message at the bottom of the screen and in my case it says: "Version: 1.6.56g In Trial. Expires 29 Dec 2018"
Edited by Plastikfan, 19 December 2018 - 03:58 PM. Ok, the Android TV app, once it expired, will require either a one-time unlock, or Emby Premiere.